Whether you have a dog, cat, guinea pig, parrot, iguana, or a horse we want to wish all the fur moms out there a very special Mother's Day! I now have one furry kid along with my 2 human children, Lily and Violet. Pictured above is Lily and Shiner. And here's Violet and Shiner. They all *promise* to be good fur and human children today for me. We'll see how that goes! Let us know how you're spending this Mother's Day in the comments! Love that first picture! Have a great day! Happy Mother's Day to you, Ann! 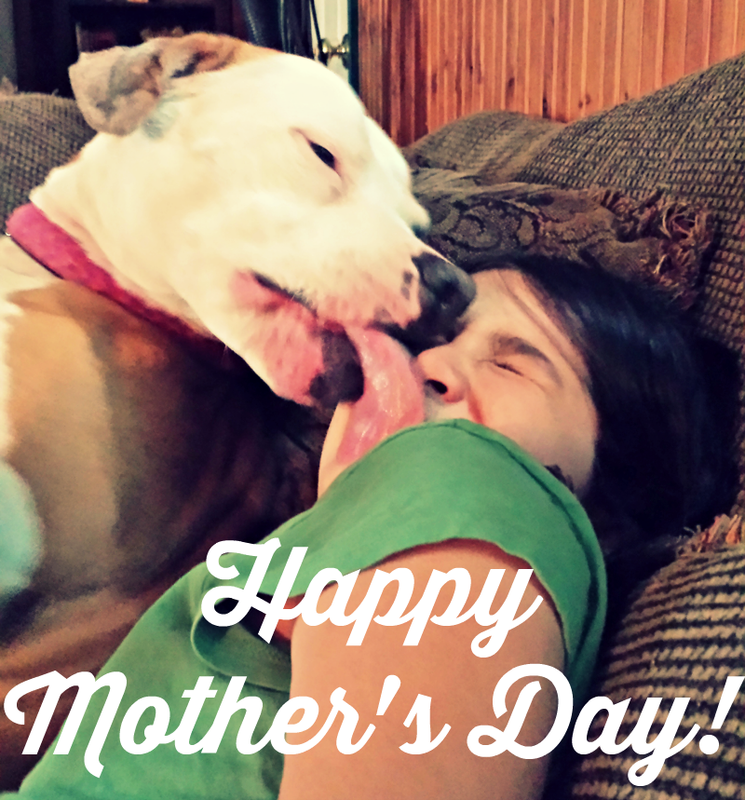 Happy Mother's Day to one very special doggy Mom! Happy Fur-Mother's Day! We had planned on going on a nice long hike (it was supposed to be 60 degrees F and sunny). Now we'll be bundling up to play in the snow in the back yard instead. Good thing I have pyrs! Happy Mother's Day! Today I will be at work for part of the day where we're having a We Love Moms sale and yummy treats but afterwards it's yoga and relaxation watching our snow! Happy Mother's Day to you. I'm celebrating my mom's memories with my dad tonight. We are treating him to dinner. Love those pictures! Happy Mother's Day! What cute photos! Happy Mother's Day to you!! Much love, The Scottie Mom. 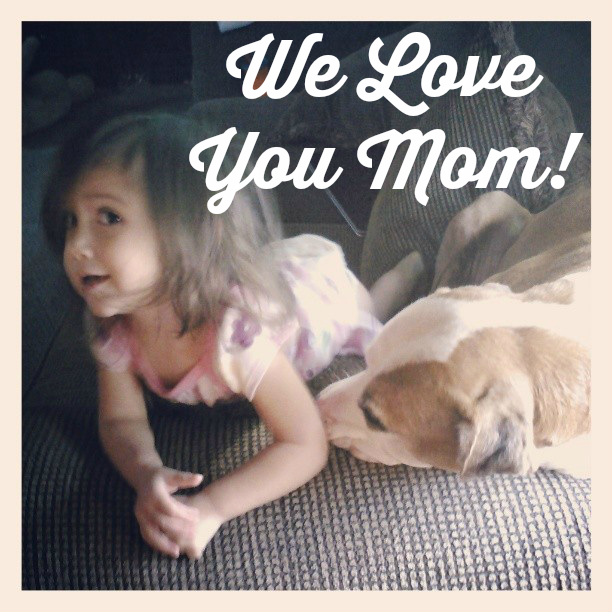 Love your photos, hope your mom had a wonderful Mother's Day Shiner! We had a great day with Tracey's Mom, after the "kids" gave Tracey some Mother's Day presents and snuggles. Happy Mother's Day to you, and to all moms everywhere!